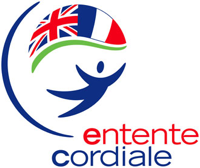 The Entente Cordiale Scholarship Scheme is a prestigious bi-lateral awards scheme that funds French postgraduate students who want to study in the UK, and British students who want to study in France. Funded by the private sector in both countries the scheme provides scholarships for about 20 French and British students each year. 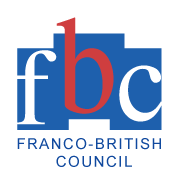 The Franco-British Council aims to promote better understanding between Britain and France and to contribute to the development of joint action through meetings of leading representatives of the worlds of culture, science, education, politics and business in the context of a developing Europe and of an increasingly globalised community. 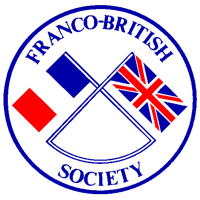 The Franco-British Society is an independent charitable organisation, privileged to have The Queen as its patron. Founded in 1924, although its roots go back to the Entente Cordiale at the beginning of the 20th century, it is dedicated to encouraging closer relations between Britain and France. The Society acts as a focus for those individuals, groups and companies who wish to keep in touch with France, her culture, history and current affairs. L’Institut Français du Royaume-Uni (French Cultural Institute in the United Kingdom) was founded in 1910 by a private benefactor eager to introduce Londoners to French artists and writers, the Institut français du Royaume-Uni. It is the official French government centre of language and culture in the UK. It is one of 150 French Institutes worldwide, and one of the oldest. 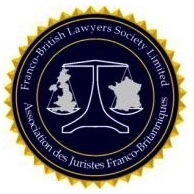 The Franco-British Lawyers Society promotes co-operation and understanding between the legal systems of France and Britain. It facilitates the mutual exchange of ideas, experience and learning between lawyers, jurists and judges in all parts of the two countries, and it seeks to multiply fruitful contacts and friendships among them. The Anglo-French Medical Society is a professional organisation fostering interaction between UK and French doctors and medical students. The organisation aim to exchange medical views and opinions as well as improving knowledge of French and English in a friendly and professional setting. The Allianz Cultural Foundation supports artistic and educational projects that breathe the spirit of international understanding. Young people from all over Europe and the neighbouring countries of the Mediterranean Sea are its target group and, at the same time, the protagonists of its programs. Together with them the Allianz Cultural Foundation develops projects that permanently promote mutual understanding and awareness. OxPO is a meeting point for social science scholars in Oxford and at Sciences Po, who work on the comparative analysis of the evolution of political systems and societies, in Europe and beyond. It coordinates various comparative research projects that contribute to this goal and offers various opportunities to develop new ones, including for doctoral students and post-docs. Do not hesitate to get in touch with us if you have a research project involving French and British collaboration and are looking for support. The French Debating Association is delighted to encourage all such events which promote the overall cause of debating in France and encourages anyone interested in debating to support these and other such debating events. The English-Speaking Union (Paris Branch) brings together and empowers people of different languages and cultures. The Aims of the ESU are the mutual advancement of education of the English-speaking peoples of the world, in particular respecting their heritage, traditions and aspirations, the events and issues of the day affecting them, their inter-relationships and the use of English as a shared language and means of international communication of knowledge and understanding provided always that these are at all times pursued in a non-political and non-sectarian manner. 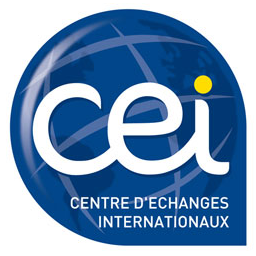 Since 1947, the Centre d’Échanges Internationaux has been organising international exchanges for young people on an educative level as well as on a linguistic one. C.E.I. is a non-profit organisation and a member of several French and international federations which guarantee quality and reliability. Their special offices in London is dedicated to operating as the platform connecting French students and non-students looking for a job or an internship, with local UK organization in need of staff and support for their team. The C.E.I. also has offices in Paris dedicated to organising programmes for foreign participants wishing to discover France, its culture and language.